Jimmy Cricket was told that he “went down a storm” in the 15th Slapstick Festival in Bristol at the weekend. The famous comedian performed on Sunday (20 January) in The Weston Studio at the Bristol Old Vic. Since 2005, the festival has hosted more than 300 events for over 100,000 people, introducing rare archive and silent comedy films, and combining them with live music from world-class musicians, well-known guests and film experts. 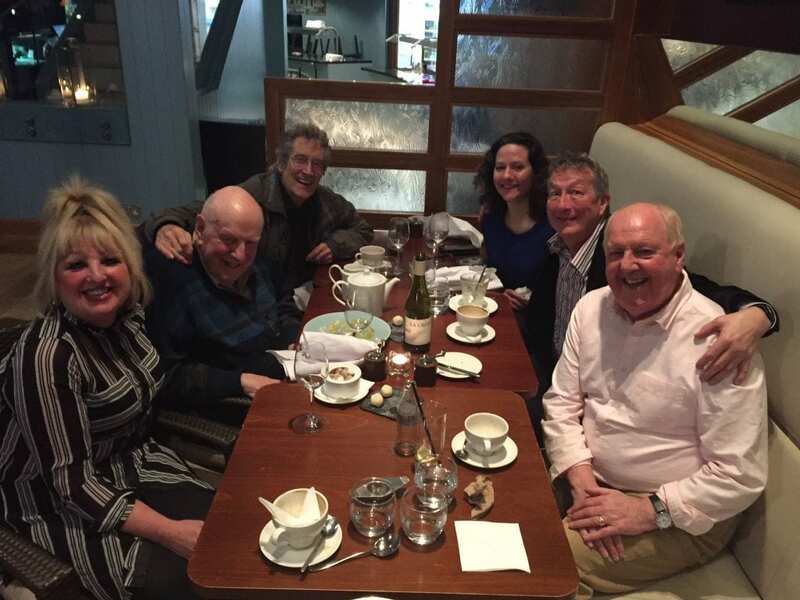 Other performers at the 33 events over six days included Bill Oddie, Graeme Garden, Tim Brooke-Taylor, Barry Cryer, Little & Large, Sally Phillips and Dad’s Army’s Frank Williams, who is among those pictured below with Jimmy and his wife May. 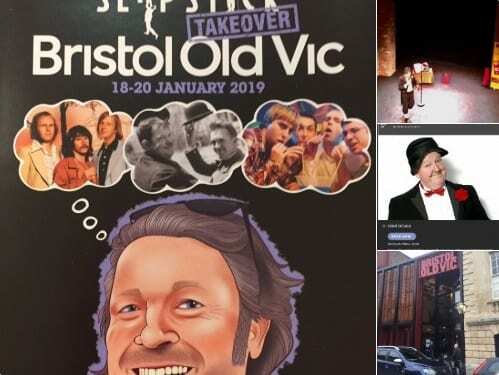 Jimmy Cricket is taking part in the 15th Slapstick Festival in Bristol at the weekend. The famous comedian will be performing from 5pm on Sunday (20 January) at The Weston Studio , Bristol Old Vic on King Street. Other performers at the 33 events over six days include Bill Oddie, Graeme Garden, Tim Brooke-Taylor, Barry Cryer, Little & Large, Sally Phillips and Dad’s Army’s Frank Williams. 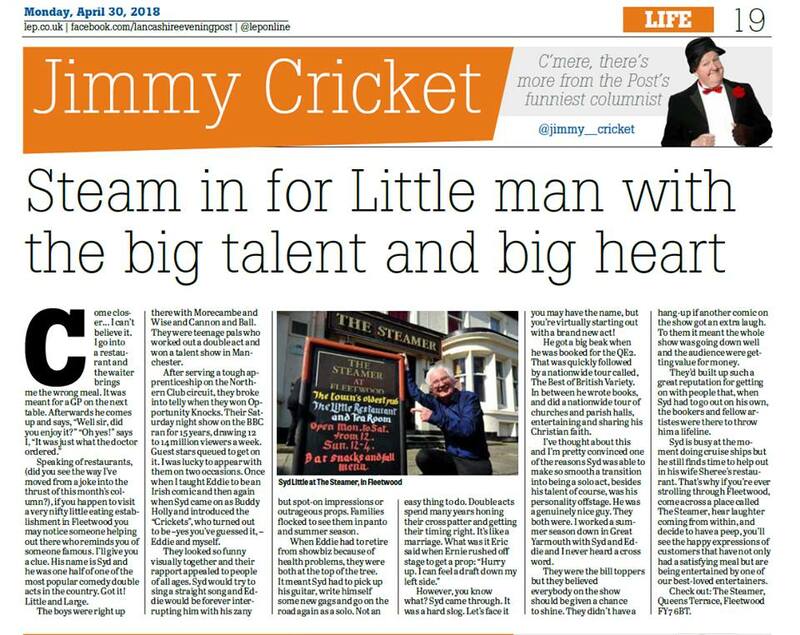 The promotional write-up for the festival says: “Jimmy Cricket is without doubt a 1980s comedy icon. With his trademark wellington boots (on the wrong feet), his famous letters from his Mammy and his catchphrases of ‘come closer’ and ‘there’s more’, he holds the hearts of all those that were fans of his TV and radio shows. Jimmy Cricket was among several top entertainers who paid their last respects to legendary comedian Norman Collier in a special tribute show. The event, called An evening of Comedy and Laughter, took place at the New Theatre in Hull in September. It included Northern Irish funnyman Jimmy plus fellow stars Tom O’ Connor, Syd Little (of Little and Large), ventriloquist Roger De Courcey (plus Nookie Bear), Johnnie Casson and Robin Grumbleweed. Norman, who died in March this year aged 87, was born and bred in Hull and for most of his life lived in the nearby town of Brough. He achieved popularity following television appearances in the 1970s and was best known for his ‘faulty microphone’ routine and his chicken impressions. 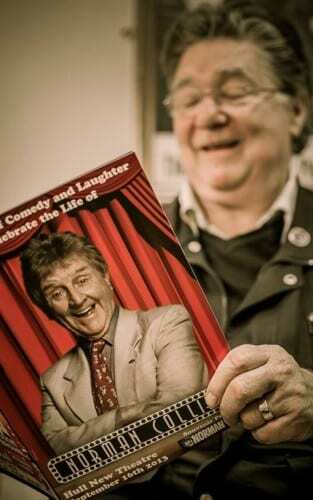 Norman was highly regarded by many fellow comics, including Frank Carson and Les Dawson, and was described by Jimmy Tarbuck as ‘the comedian’s comedian’. Read more about Norman here. The show was hosted by Norman’s son-in-law, John Ainsley, who was also the main organiser of the event. 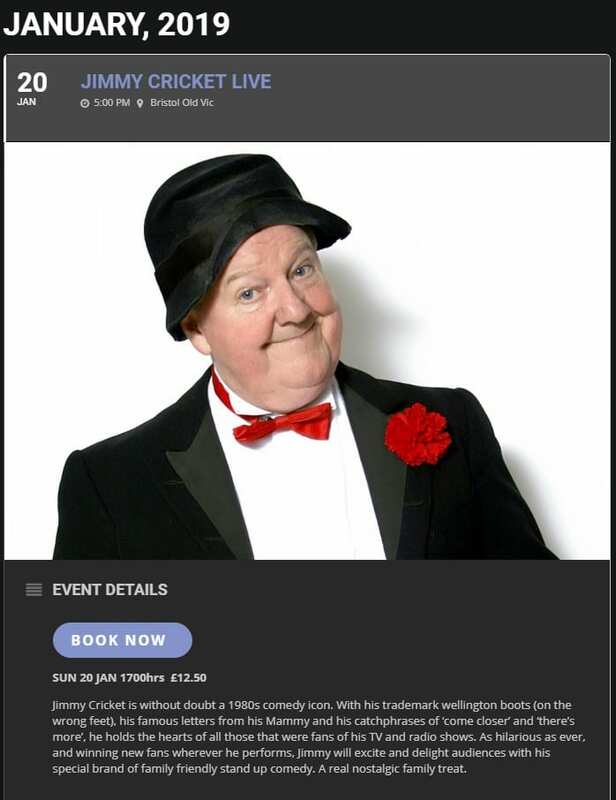 Jimmy Cricket said: “Suffice to say the theatre was packed to the rafters and everyone thoroughly enjoyed themselves. Enjoy some nostalgia and watch Jimmy and Norman performing a chicken sketch together. All pictures in the slideshow below are courtesy of OlsenParker photography which is based in Hull and the East Riding of Yorkshire. 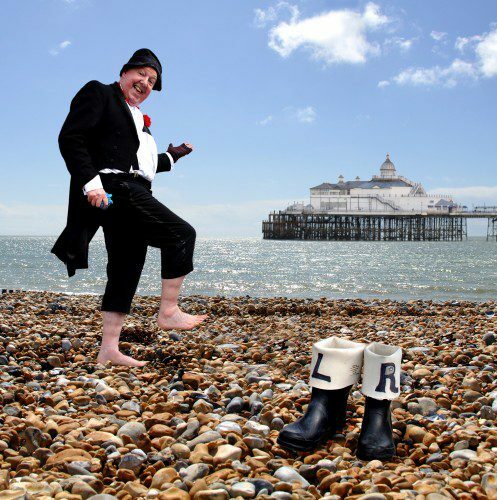 Jimmy Cricket’s appearance in a family entertainment extravaganza at the Royal Hippodrome Theatre in Eastbourne, East Sussex, this summer has hit the headlines. The loveable Irish comedian features in two big stories about the show. Over the last few years Eastbourne has begun to finally shake free of its historic tag as a pensioner’s paradise but this summer one corner of the Sunshine Coast will be proudly plonking itself well and truly inside a time warp. Having opened way back in 1883, the Royal Hippodrome Theatre has played host to stars of the stage as diverse as Peter Sellers, Ken Dodd, Vera Lynn and even escape artists extraordinaire Harry Houdini. But despite surviving an unfair roasting from Sir Bruce Forsyth, who publicly laid into the venue’s facilities during an interview – he was starring at the Hippodrome when he was called up to compere at the London Palladium – the much-loved theatre has fallen on hard times. Where once it staged regular shows, attracting sell-out crowds of more than 1,000 all year round, now the bill is limited to the summer months and played out in front of audiences which are often far more modest. This summer though, the powers that be are hoping for a return to the halcyon days of yesteryear as the venue once again gears up for its summer variety show – the longest running of its type anywhere in the UK. 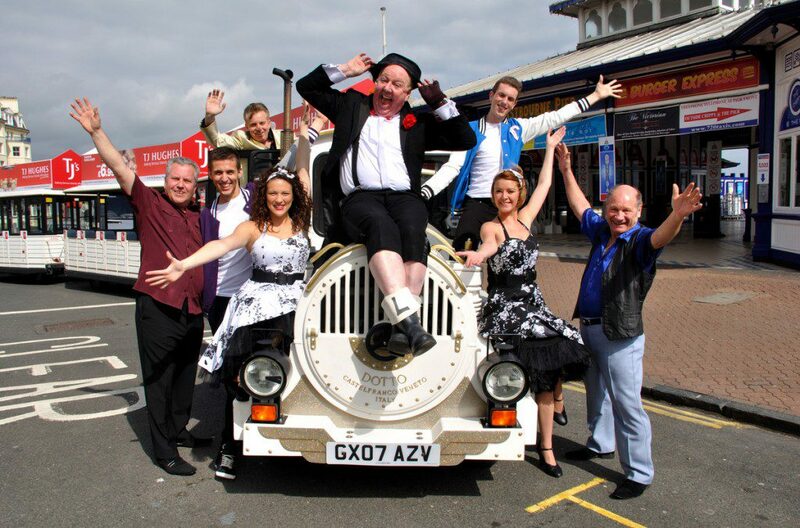 A Sentimental Journey kicks off on May 1 and runs all the way up until the end of September and boasts an array of acts ready to tread the boards in what promises to be a fun-filled and nostalgia twinged trip back to the 1950s and 60s – a time when variety ruled the world and places like the Hippodrome attracted the biggest stars in the businesses. The line-up includes a Billy Fury tribute act who blossomed after an appearance on hit TV show Stars in Their Eyes and a team of show time dancers who will no doubt high kick their way through some of the popular numbers from yesteryear. Comperes Barry Moon and Mike Lee will keep things ticking over with their mix of conversation and comedy while Tracey Lea appears as the much-loved Connie Francis. Top of the bill and very much the main attraction though is a man perhaps best known for his letters from his mammy and an inability to tell his left from his right. 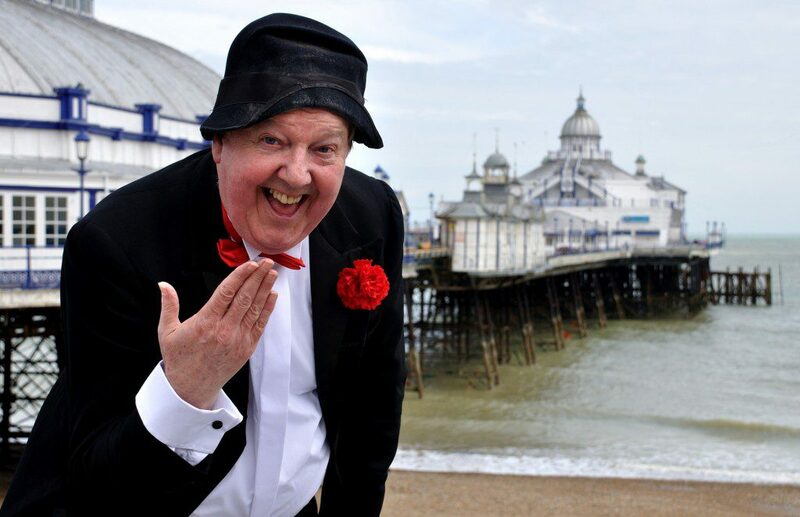 Jimmy Cricket has been charming crowds since first stepping onto a Butlins stage as a 18-year-old red coat back in 1966. England may have been winning the World Cup, but over the sea in the small Irish town of Mosney a young comic was developing a winning formula which would carry him through the next four decades and see him leave an indelible print on the comedy consciousness of all who saw him. And Jimmy is also mentioned prominently in a feature on Whatsonstage.com, which says it is “Britain’s biggest and best theatre and performing arts website”. The story is about Eastbourne’s Royal Hippodrome opening its doors again May with a five-month run of a new summer season show called Sentimental Journey – in which Jimmy will be starring. The summer show, which is being produced to mark the Queen’s Diamond Jubilee year, is a family variety show appropriately called Sentimental Journey. This will take you on a journey back to the time of the coronation (1953) with Stars in Their Eyes contestants Colin Gold as Billy Fury and Tracy Lea, as Connie Francis. The show will also have its own Show Time Dancers and alternating compères Barry Moon and Mike Lee. 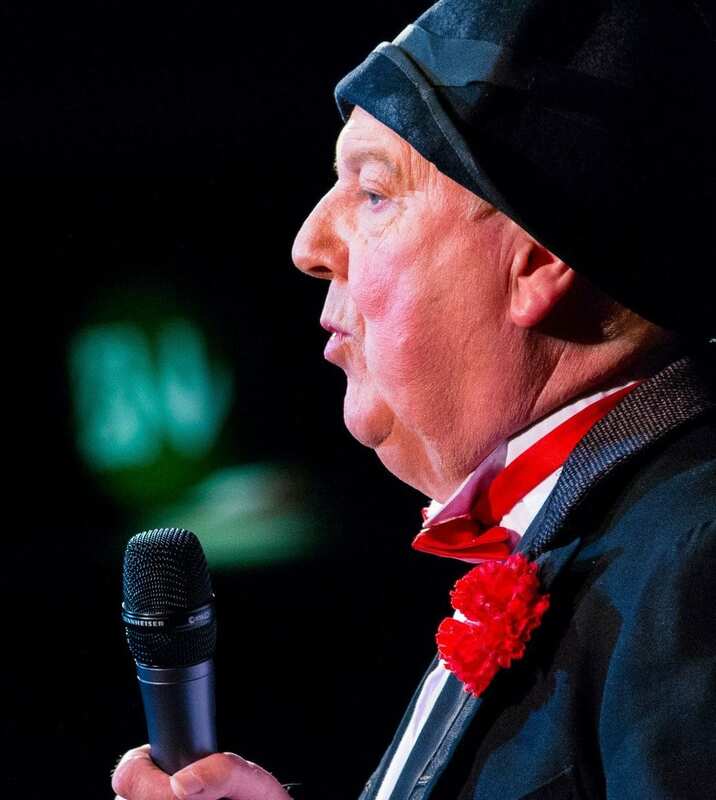 Headlining is a man who has been described as “one of the greatest front of tabs comedians” and family favourite, Jimmy Cricket. I had an opportunity to talk to Jimmy about the show and the theatre in which it plays. “This is the Cinderella theatre in Eastbourne and the fact that it could have closed makes me weep. I’ve gone out on a limb sometimes, when I see other theatres closing, and I have had irate letters back from some councillors asking why I am butting in, but I can’t just stand by and watch them go under.